We have launched a new ultra-low latency connectivity service between the Japan Exchange Group (JPX) and Singapore Exchange (SGX), providing the lowest-level latency at 63.7 milliseconds. Our subsidiary HKNet has integrated Network Functions Virtualization (NFV) technology into its dedicated internet access service vIP-Net, and extended the service’s regional reach with a new Point of Presence (PoP) in Korea. Digital technology goes beyond improving efficiency; it creates customer value and drives revenue growth. Forrester shares the current state of digital business and examines the talent needed to develop a digital organization. Learn how digital must become part of your job now. How has Industrial Revolution evolved over time? Why does IoT matter to the manufacturing industry? Our VP of Global Enterprise, Ivan Tan, will share his insights with you at APAC Innovation Summit on 8 Apr. Check out how Shiseido optimized their communication infrastructure through our Enterprise Cloud, allowing higher flexibility which helps complement their global business needs. HOW TO IMPROVE THE ENERGY-EFFICIENCY AND TCO OF THE DATA CENTER? 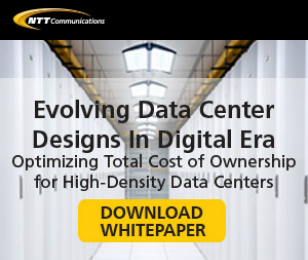 Explore a high-density data center design and a range of innovative cooling technologies to answer your needs of achieving energy-efficiency and lowering the total cost of ownership (TCO).